“More children than ever before are now surviving cancer” (Barncancerfonden, (2012), Childhood cancer in Sweden) and “there is a big difference in the way radiation therapy can be used for children with cancer than in adult cancer treatment. Children are much more sensitive to radiation than adults. The reason for this is that children are growing. The growing skeleton is very sensitive to radiation and even a small dose can inhibit normal bone development. This means for example that if half of the face is radiated, the other half will be smaller than the non-irradiated side when the child becomes an adult. To be able to receive the treatment does some children need anaesthesia. A routinely usage of anaesthesia can “lead to an increased risk of clinical complications, sub-optimal nutrition, sleep disruption and is time-consuming and costly. (Scott, Linda; Langton, Fiona; O’Donoghue, Joan. 2002. Minimising the use of sedation/ anaesthesia in young children receiving radiotherapy through an effective play preparation programme. European Journal of Oncology Nursing 6 (1): 15-22) By reducing the amount of anaesthesia will “increase the time the child is awake, eating, playing and socialising and reduces the time spent by the child and family in the hospital.”(Barncancerfonden, (2012), Strålbehandling för barn). Under the age of 5-6 are the children usually anaesthetised during the full treatment. But there are cases where 5-year-old have been able to receive the treatment without, as well as the opposite were a quite old children, around 9 years old needed anaesthesia to cope with the treatment. During one week we conducted a in depth research at the three different hospitals. The different pain points were mapped out on a blueprint. One point that we came back over and over again was “Increase daily normality”. To being a child with a cancer diagnosis disrupts the familys whole life. It can be tough to revise the treatment as well as being away from the old normality with friends and family. To collect the primary knowledge from the children did we hand out a design probe kit. The kit contained a diary with stickers, a camera with a thumb up and down, drawing paper and colored pencils. The photos are taken by a 5-year old boy that already have gone through radiotherapy treatment, and his mother is helping him to like or dislike objects. The paper Getting used to it, describes the importance of normality when the child has a deadly disease. This is easiest made by reducing uncertainties but also keeping the treatment flexible, repeat the experience and have some time for reflection. I: What have (childs name) questions been during the treatment? F: No, she haven’t got that many questions. She was five and a half so well now she is turning six. But when it started she was around five and a half. No but she haven’t really had that much to say. But we got a book, what is it called…. when everything started. F: That was describing a little bit of chemotherapy and radiotherapy but it’s more, it’s Eugene, you know that book. F: That shows that you do a mask and things like that. But it’s on a child’s level, it’s not for adults really. I: Mm, so maybe it would be nice with both. F: Yes, a little bit more information. F: Yes exactly. That we thought in the begin that is was possible to talk or read a book or something like that in a speaker so that she could hear. But it wasn’t like that. We had read that in that book, Eugene, that we got. 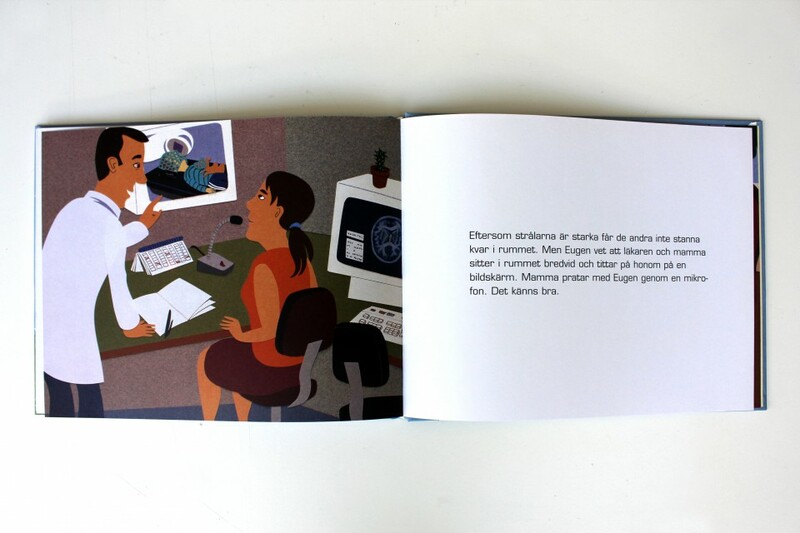 M: Yes, we got some book from Barncancerfonden where they go through brain tumours. F: So…. exactly so that they could hear you but it wasn’t like that. M: She didn’t or we had told her that it was like that but she didn’t care about that. But I could think other children that know about it… (doesn’t end sentence). The insights from interviews done during project Dumbo were also highlighted when going through the interview notes we did at the different hospitals. The families undergoing treatment explained they were scared in the beginning but that they, eventually, “got used to it”. Families that was in the end of treatment or had finished it all together expressed that the chock of diagnosis changed their whole lives but after starting treatment and learning routines they felt as normal. This made us research further into studies made about normality amongst child cancer patients. Looking into the study “Getting Used to It”: Children Finding the Ordinary and Routine in the Uncertain Context of Cancer by Janet L. Stewart were research showing the impact the diagnosis has on children’s normal life. Cross-referencing this with ‘Building a new normality’: mothers’ experiences of caring for a child with acute lymphoblastic leukaemia by Earle, Clarke, Eiser and Sheppard let us compare it to the mother’s experience of how normality changed due to diagnosis and treatment. With these studies as a ground we put together a graph showing the transitions of normality for child and parents starting at the day of diagnosis and continuing up to 27 months later. Minimise the uncertainties of their condition through explaining the disease and treatment in a way they can comprehend, making sure the behaviours of the staff and parents are understood by the child and stress the importance of the unpredictability of the disease. These are all components that would effect the depth of the curve and through managing these we could prevent the drop in the curve from becoming too deep. The consequences of these uncertainties were a negative feeling of the child, often in the form of worry and fear. These sensations were most commonly felt during the time of diagnosis and at the beginning of treatment. We continued with making a combined blueprint for all the three hospitals that was more in depth. 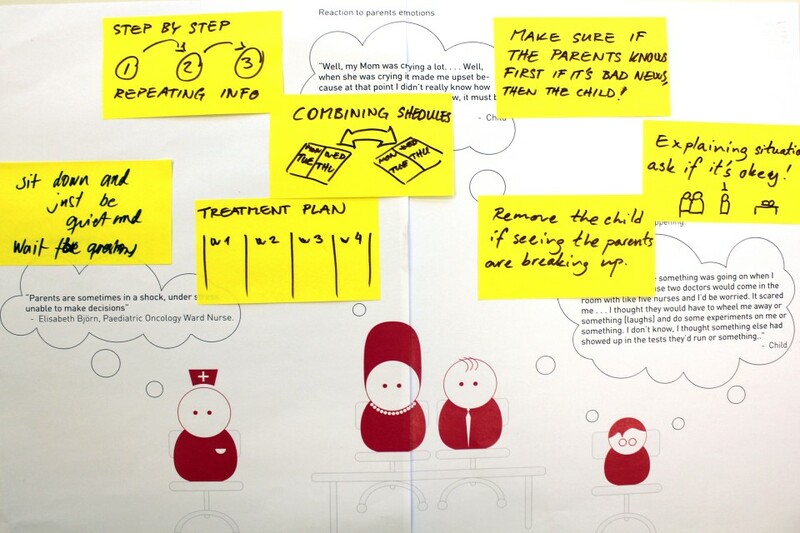 The blueprint shows both the child and the parents interaction with staff. Both actions happening front stage and back stage are shown. The reason for the blueprint to be so detailed was to see all the possible moments for intervention through our service, and to understand where procedures at the different hospitals differed. This gave us a very wide area for us to implement our solutions and a good evaluation tool for us to use in the rest of the project. The current touchpoints were dot sticked to illustrate what stratergies for normalisation they supported today. As part of the ideation process, a co-creation workshop was conducted together with staff from three mayor Swedish hospitals. The goal of the workshop was to understand their view of the problems we’ve identified during our research, and see how they thought the issues could be solved. To anchor the problems in real life, we connected them to quotes gathered during interview with patients and staff during the research. The quotes were divided up amongst the different user groups of child, parents & staff and separated into three mayor touchpoints; diagnosis, preparation for treatment and start of treatment. 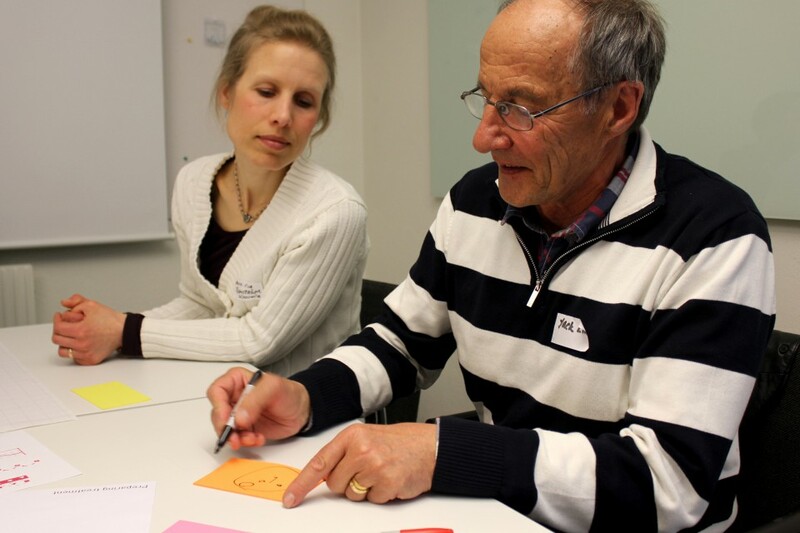 Ideas were clustered around the different “quote boubbles” and later on presented in front of the whole group for feedback and as a basis for discussion on how to bring back the sense of normality to the family. To complement the ideas made during the co-creation workshop, an ideation workshop was conducted internally within the team to harness all ideas. 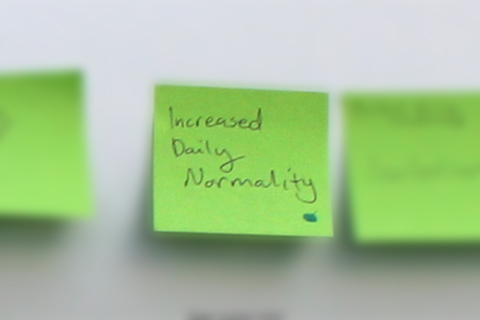 These ideas were also in the form of post it’s to make sure they were all on the same stage of “finalisation“. 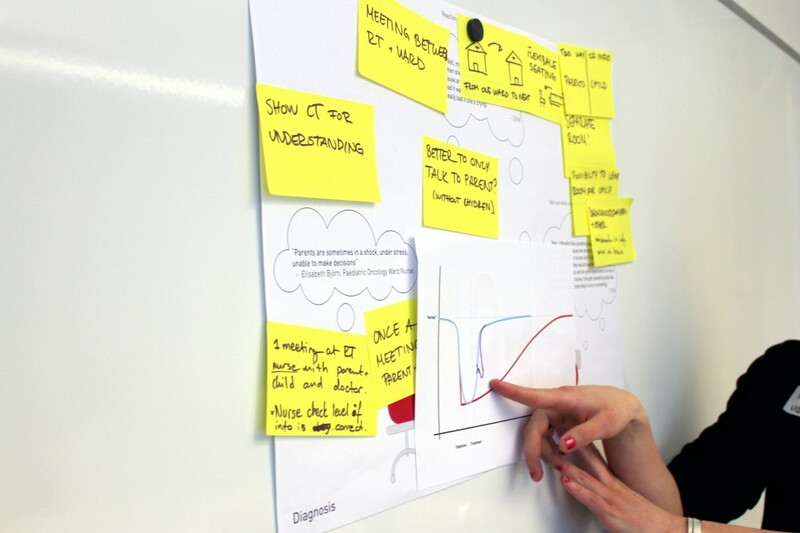 The ideas collected during the co-creation workshop and our own ideation sessions were transferred to smaller post it’s and plotted onto the user journey after which stage of the user journey they corresponded to. These ideas were then clustered into group around common subjects of information, communication, collaboration and distraction. What became apparent was that the ideas throughout the journey varied a lot in depth from one time interventions to methods. To sort this out a matrix was made to separate the ideas after which depth they held. On the vertical axis we put the categories of pure information, method, experience and event to sort out the depth of the ideas throughout the journey. Pure information collected all the ideas related to specific information that should be provided during the journey. 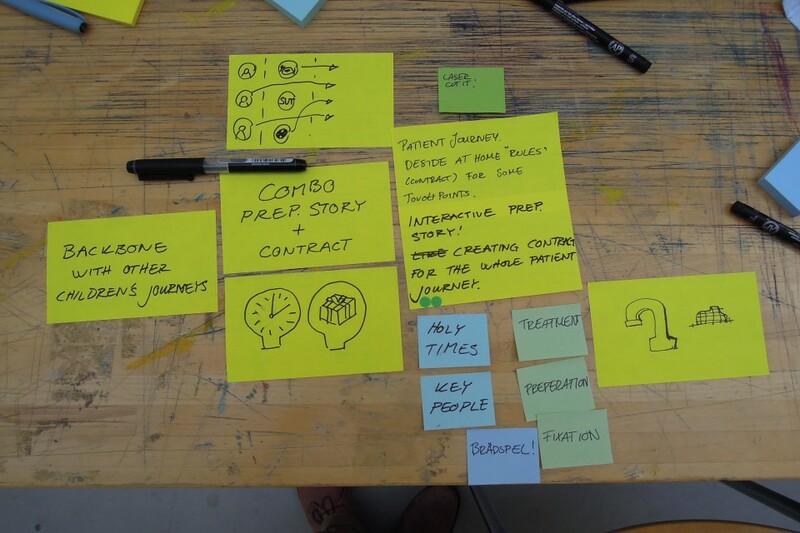 Method was ideas explaining a way of delivering information and an experience throughout the journey. Experience was ideas that stretched over several touchpoints and could provide a holistic experience. Events contained those ideas that were isolated to a separate touchpoint and could not be extended to more touchpoints. 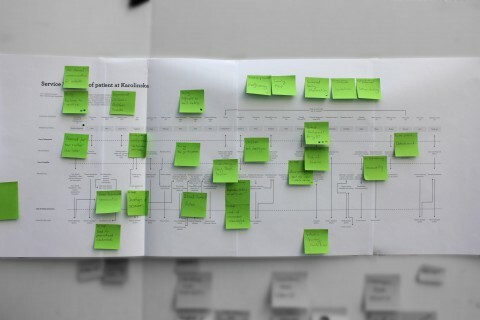 When the ideas had been clustered and plotted out on the user journey. Brought we back the 3 strategies. All ideas where again clustered with help of the 3 strategies and we decided to move forward with the points that either were a method or an experience. We continued with defining the components of the concept. We brought them down from the big blueprint down to a table and moved the parts around. Mixing hospital environment with home and vice versa and making a combination of a preparation story together with a contract for children. The mix between hospital to home and home to hospital and have these coming in at different touch points throughout the patient journey became the base for the concept. 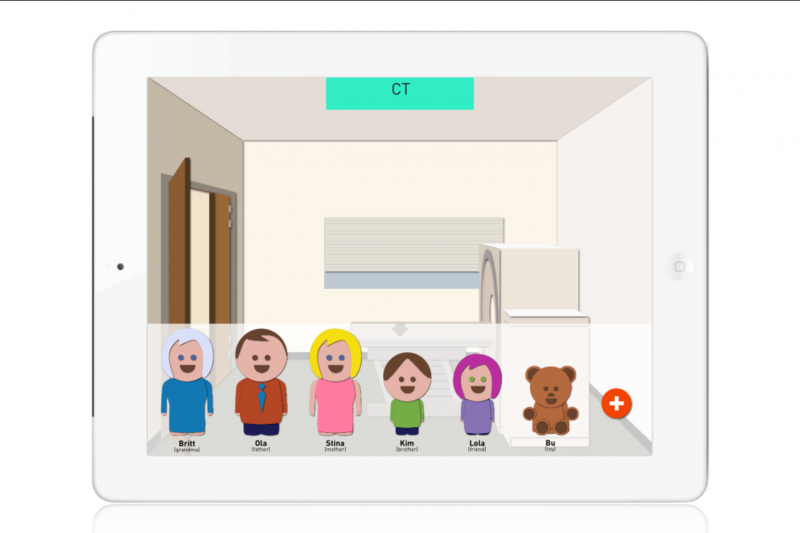 “Create an interactive storyline based on the patient journey. 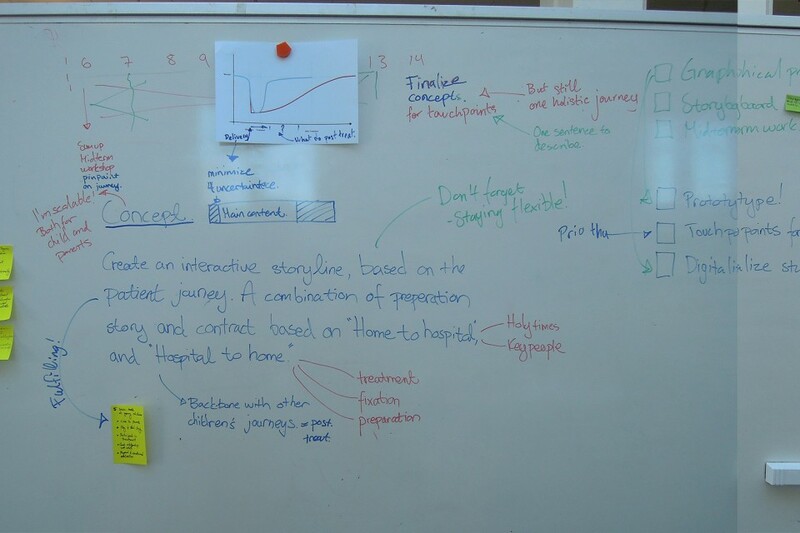 A combination of preparation story and contract based on “Home to hospital” and “Hospital to home”. To facilitate that the child can bring parts of their home environment in to the hospital, eg. people and “holy times”. And on the other side make sure that the treatment is clear and that parts can be brought from hospital to home. 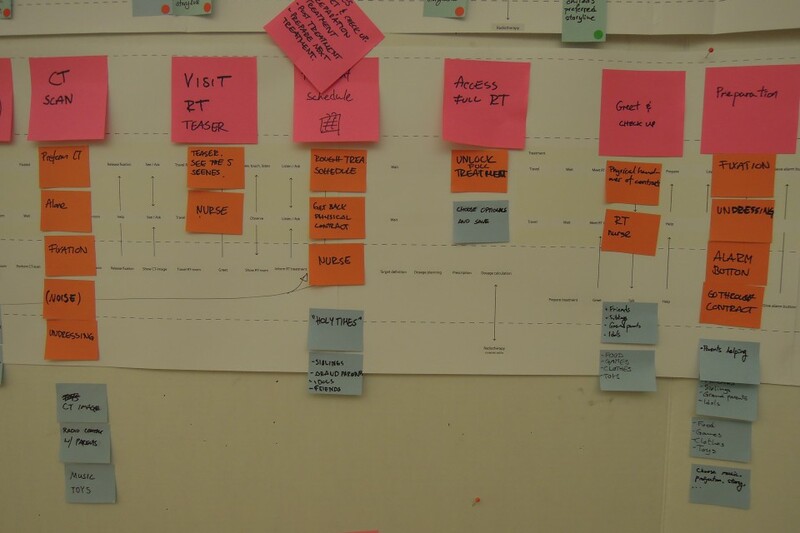 We cleaned up our blueprint by making it to a digital version and plotted out where our concept would interfere with the patients journey today. 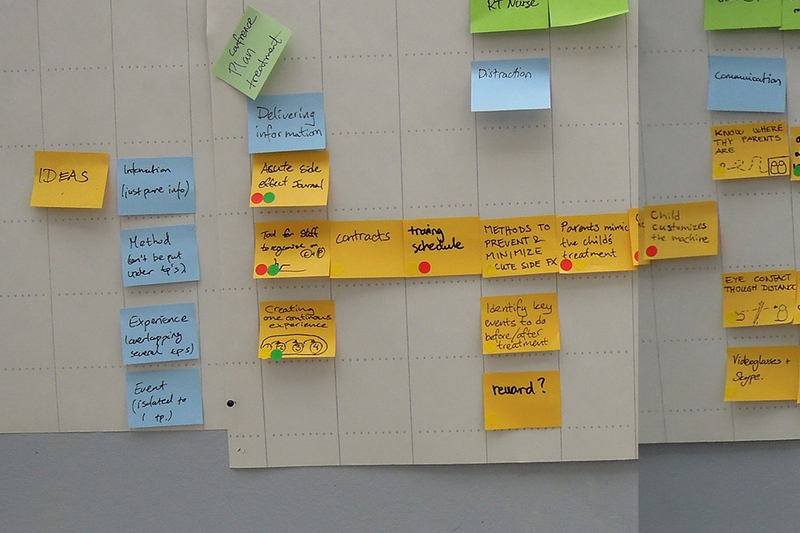 These touchpoints where also dotsticked in the same way as the first one to make sure that the concept would fulfil the project goal. 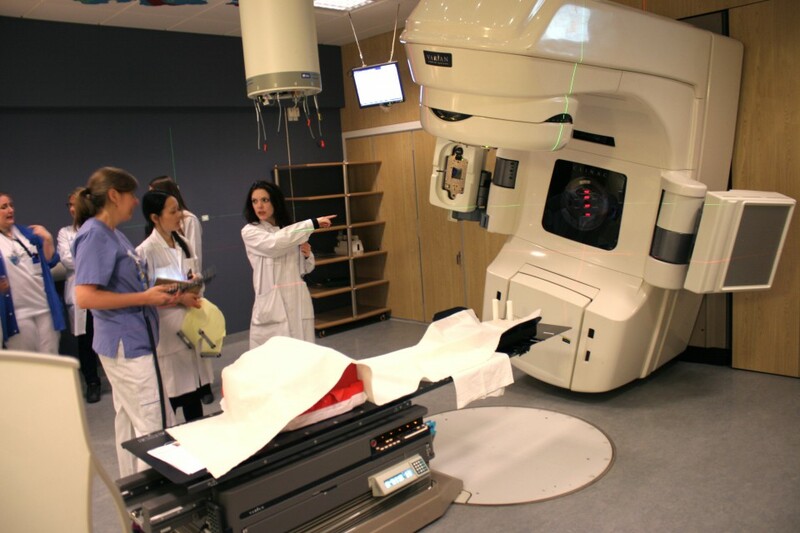 To be able to test our concept did we make a 3D model of the radiotherapy at NUS. 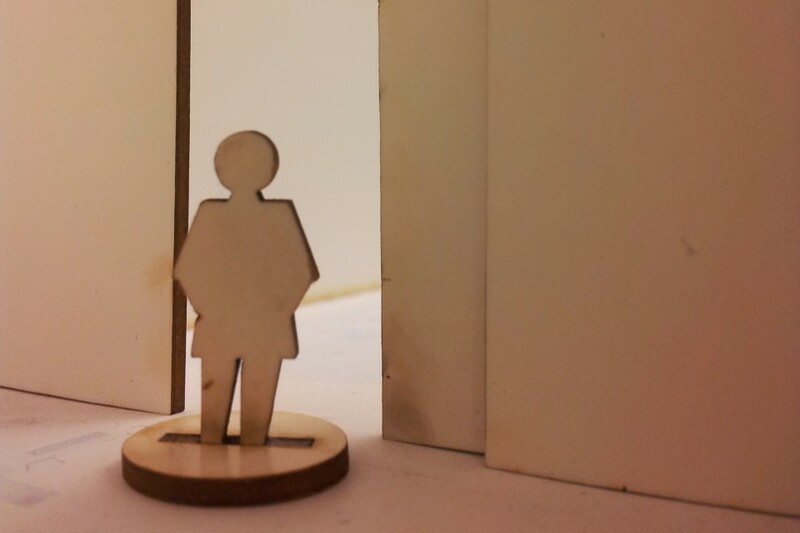 We laser cut the walls, interior and people and tested the model with children. After explaining the setting of the model a 2,5-year old boy directly asked “Where are the doors?” Tho all the rooms didn’t have doors. A 5 year old girl struggled to move the figures between the rooms and sometimes skipped to move them between the rooms and lifted them instead. 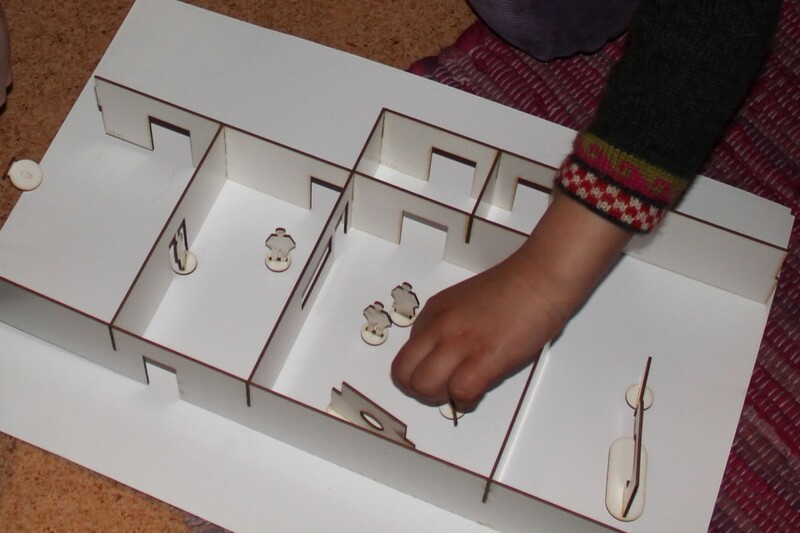 After testing the 3D model we discovered that the model was to complex and that the children had a difficult time to connect both with environment as well as the persons. To be able to record the childrens changes and wishes did we decided to make a two dimensional plan of the rooms and make a bigger more child-like token for the children to identify themselves with. effort at a minimal cost makes the most sense. The only thing that is remained constant is the patient herself, and it makes the most sense to use a physical token to represent her. 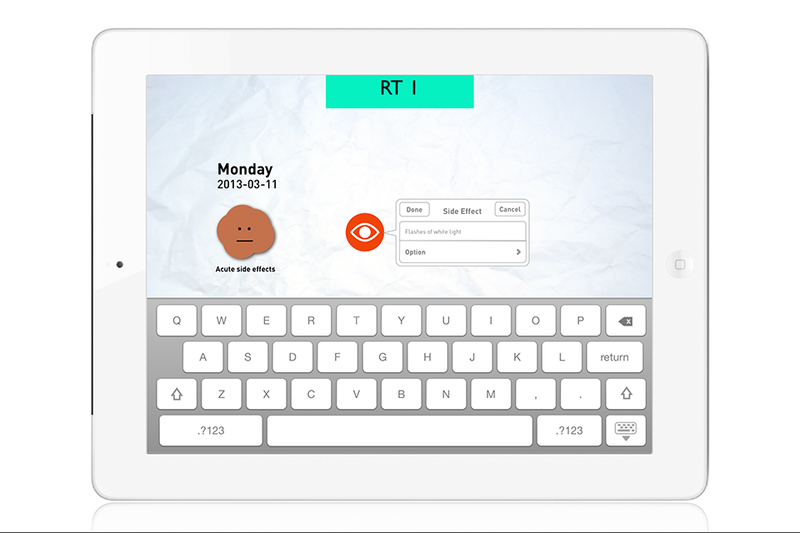 The token, acting as the patient, interacts with the digital storyline. 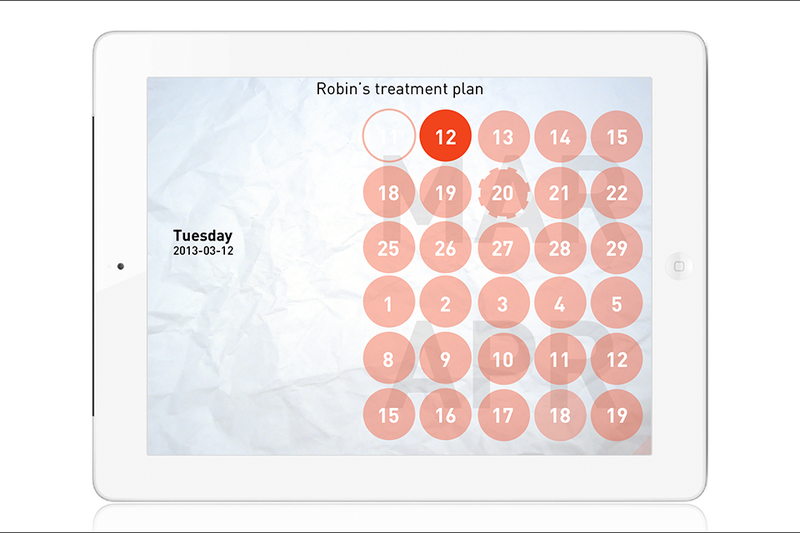 The patient identifies themselfs with the token through the digital treatment journey to deal with unfamiliarity of the actual treatment and disease, thus creating an opportunity to get used to the real treatment and increase the capacity to deal with future uncertainties such as the unpredictability of acute side effects. procedure through it. The patient and parents take Rémi home to further understand the nature of the disease. They are also able to go through the upcoming treatment routine to gain familiarity and to be mentally prepared for it. Rémi encourages them to focus on the here and now by limiting full access to the stories that are too far in the future in order to minimize anxiety from worrying about the uncertain future. Nonetheless, Rémi offers glimpses of what the next treatment will be like through “teasers” (shorten form of that particular treatment). 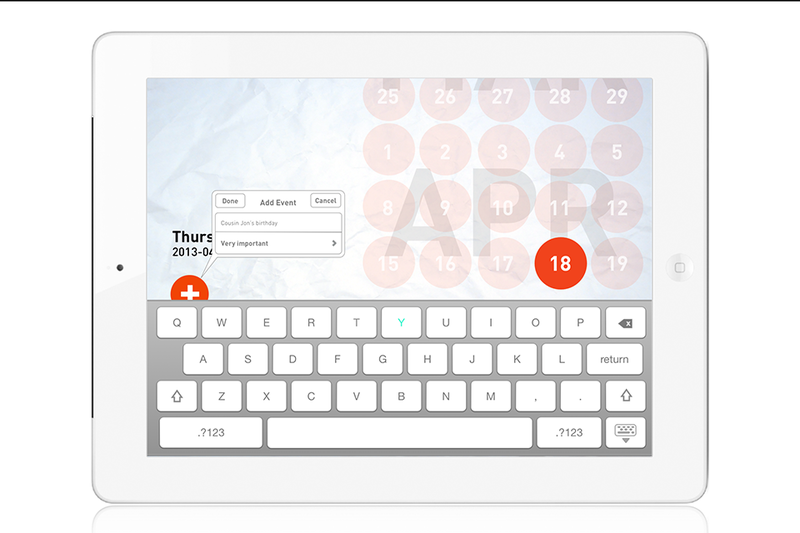 inform the hospital any important events that might interfere with the treatment by adding notes to the calendar in Rémi. It is our hope that this can be used as a tool of communication between the hospital and family to find ways to accommodate both the treatment and the important event. to the storyline as they observe any changes from the child during treatment. This way, the child can be better prepared for the new and unfamiliar side effect in the upcoming treatment. While Rémi communicate all this information via the internet, the physical token also acts as data transfer via NFC technology. The token also symbolically acts as the child’s alternate self. At the beginning of each treatment, the child hands over the token to the nurse as an act of handing over themselves to the care of the staff while the staff fulfilling the wishes of the child. 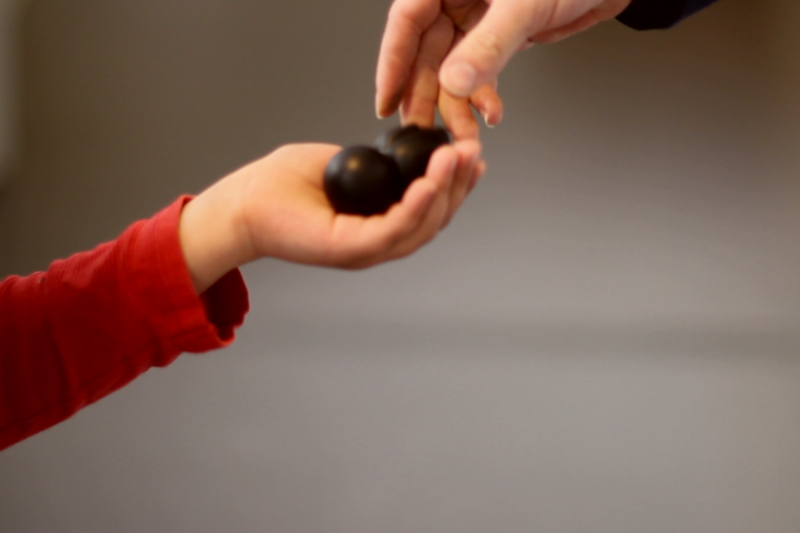 At the end of each treatment, the token is then handed back to the child. The token is to be kept by the child, and the child can add personal touches to the token by ways of decorating with paint. The design exists in a theatrical concept stage. It is our hope that it can be tested to see how an interactive story could help the patient and family to get used to the treatment sooner and to help the patient to become less fearful toward the procedure and more calm during the treatment. One foreseeable obstacle is the motivation for patient in using such storyline for an extended and repetitive time. We believe that the parental involvement is one of the keys in motivating the patient to use the design. We also think that by making the storyline more customizable. It offers desirability for the patient to interact with the story. 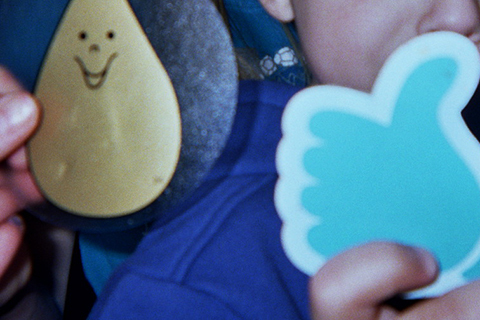 Rémi’s focuses is on children from age 1-12. 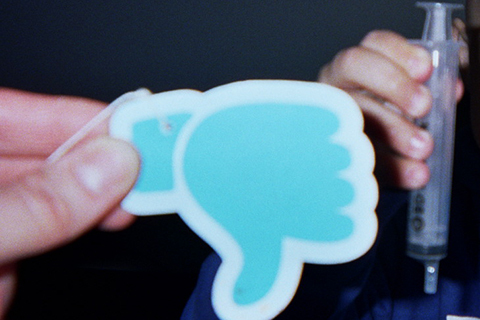 In terms of Scalability, the current state is not appropriate for children beyond age 12. Nonetheless, Rémi is flexible enough to help the targeted users to get used to treatment other than radiotherapy, or even beyond cancer treatment. Again, Rémi’s goal is to increase familiarity of any treatment. 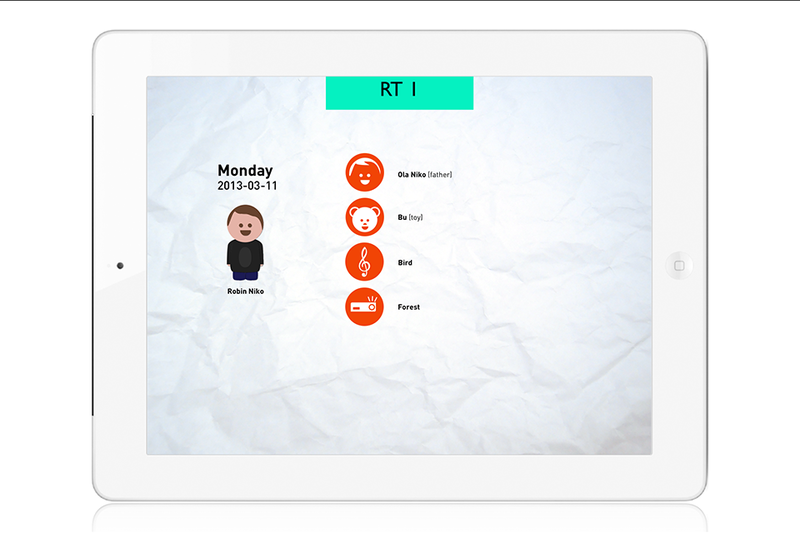 With its digital storyline, it is flexible enough to implement different treatment journey for each individual patient.